Do you like diamond, ruby or crystal? Of course everyone like these treasure! So you should try this matchthree game and own these shiny diamante. 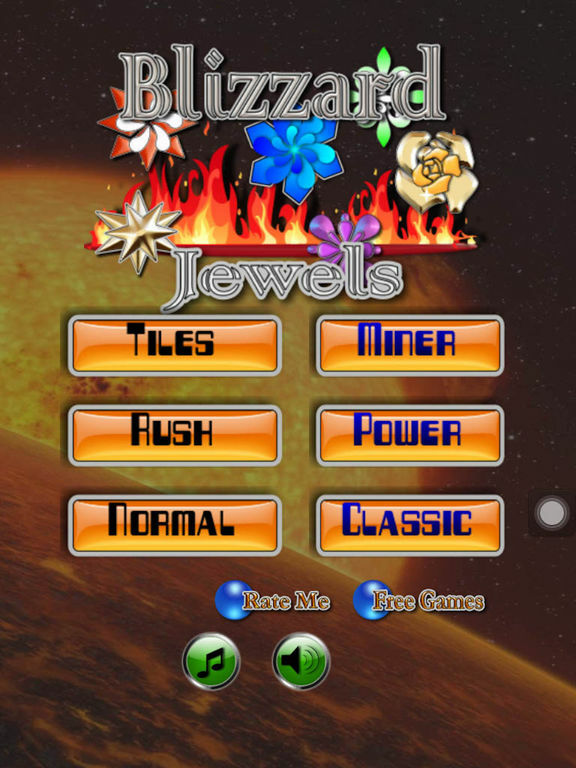 "Blizzard Jewel" is the latest match-3 casual game. Just like those bobble, bubble, pop and popper games, it's easy to play but challenge your brain and mind. Many puzzle hone your wit. It's really a nice game for all family, also the best time killer! Now, start a new game, solve these teasers, and be a jawbreaker! Swap those jewelery to quest for three jewels of the same color, and jewelry will break. Then enjoy the explode power and win. Forget those candy, fruit, coin, jelly or saga, just download this match3 game. Collect the gem with your friend! Match over 3 jewels will get a power jewel. It's a burster, touch it will burst to crush special magic power. 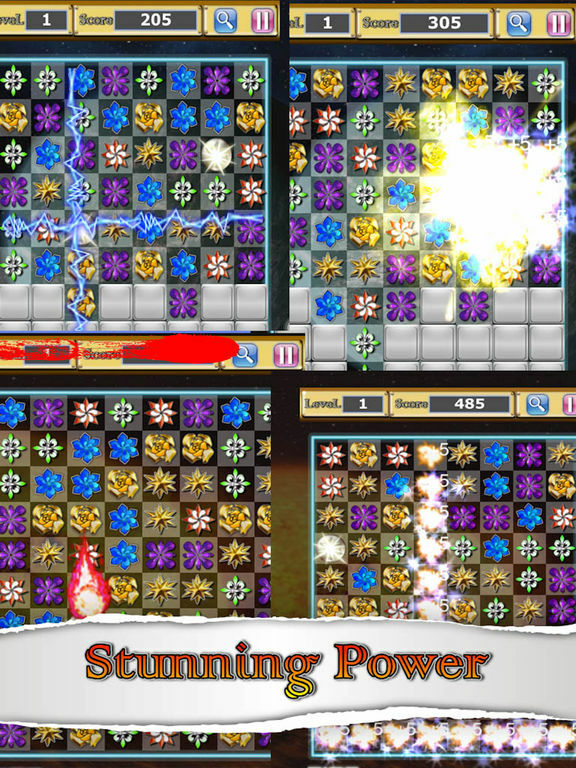 no time limited, try to get more power jewel, gameover until no way to move. Traditional magic gem game, no time limited but finish until no way to remove. Time limited, match 4 same jewel will get power jewel , match jewels will increase time,gameover until timeout. Time limited, match same jewel to increase power botton. When power button enable, you can release the magic power as you like. Gameover until timeout, matching jewels will increase time. 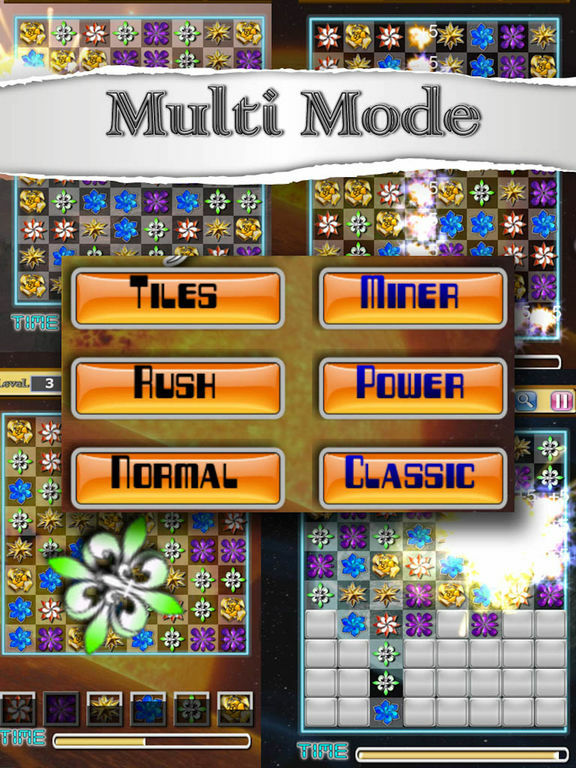 Time limited, eliminate a row of bricks to increase time and pass the level. Time limited, eliminate all the opaque tiles to pass the level. This is a free APP, which has ads in it. We have confirmed these ads are safe and legal, and do not read any personal privacy or tracking any information. If you do not want to see any ads, please don't install this APP. Do not give us poor evaluation because of the advertising. Thanks!! 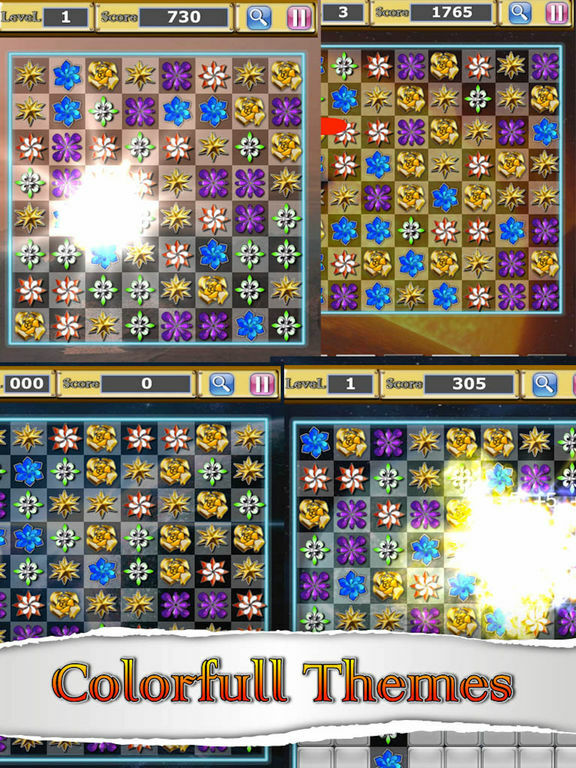 "HAFUN APP" is a succession of casual games that produced by independent developers. It fit for all kids and adults. Just play for fun or challenge your brain and mind. " hafun" means "HAVE FUN (have fun) !". So we hope you can enjoy it. Welcome to download our game, and give us some review.